nycavri 2 A simple yet engaging and intuitive game. I am surprised at my level of enjoyment. 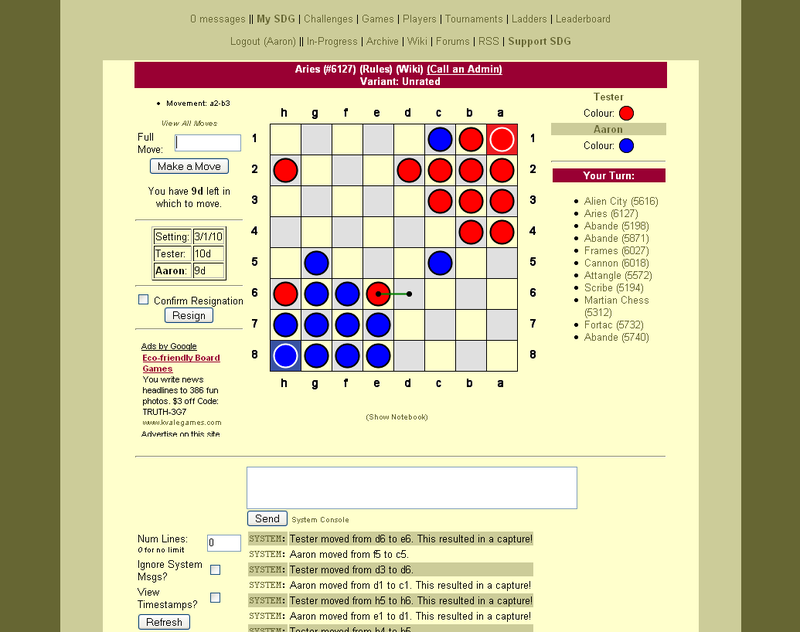 goulo 1 Good abstract playable on a chessboard - simple pushing rules, non-obvious strategy/tactics. unic 1 Interesting, but needs some rule to deal with repetitions. Zotmeister 0 Fun, but far too dependent upon ko-rule record keeping for face-to-face purposes.